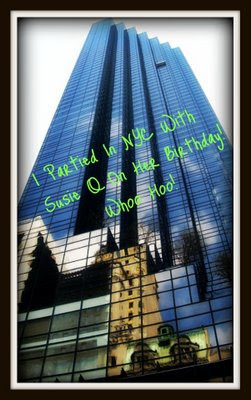 Go check out Susie's Party! Thank you SO much for being so special. On my way to the party, picking up a bottle of champers!